The year 2013 marks one hundred glorious years of Hindi Cinema during which so many gifted, trained/untrained actors, singers, lyricists, music directors, makeup artistes and technicians, have raked fortunes and entertained cinema goers of many generations. One only needs to look back to remember the outstanding performances of actors such as Dilip Kumar, Raj Kapoor, Dev Anand, Ashok Kumar, Meena Kumari, Nutan, Shabana Azmi, Mehmood, Pran; lilting music by both musician duos like Shankar-Jaikishen, Laxmikant-Pyarelal, Kalyanji-Anandji and musicians like Naushad and Madan Mohan; mesmerising voices of singers such as Mohammed Rafi, Mukesh, Lata Mangeshkar, Asha Bhosle, Geeta Dutt and too many others who ruled the silver screen. Among all these jewels is my personal favourite, Badruddin Jamaluddin Kazi who came to be known as Johnny Walker, the king of comedy. In an acting career that spanned from 1951 (Baazi) to 1998 (Chachi 420), Johnny Walker gave superlative performances as a drunk, a pickpocket, a roadside joker, a stage actor, a servant in the style of PG Wodehouse’s Jeeves, a rich man’s no good son and many more. Going by the number of articles on Johnny Walker that I still find on the Internet, its heartening to know that newer generations of movie goers are equally enthralled by his natural flair for comedy even after the actor is no more. Born in 1926, Kazi grew up to be an ordinary looking man, with a pencil thin moustache, a squeaky voice and a jaunty walk. His entry into filmdom was neither planned nor easy. In his own words, he had tried his hand at many “Rs. 50/- businesses”, selling vegetables, fruits, stationery, ice-candy, etc. before he started working as a bus conductor in Mumbai’s BEST buses. Actor & scriptwriter Balraj Sahni was once travelling in the bus Kazi was on and was amused to see him regaling the passengers with a ready wit and sense of humor. He directed Kazi to meet Guru Dutt who was in search of a natural comedian for Baazi. As a devout Muslim, Kazi drank no alcohol but enacted a drunkard’s senseless garbling for his screen test so effectively that it landed him a role that he would perform several times in the future with aplomb. It even won him his screen name “Johnny Walker” after the brand of whiskey by the same name. On hearing one of Johnny’s filmy lines, “ Mere Baap Dada bhi peete the”, his orthodox father was shocked to such as extent that he barred Johnny Walker from coming to his house for a long time. An approval of his superlative acting skills came when he was nominated for the Filmfare awards for CID (1956) & Mere Mehboob (1963) and awarded the award for the best Supporting Actor in 1958 for Madhumati and Best Comedian in 1968 for Shikar. In 1955 he married noted actress Noorjahan who had debuted as a child artiste in Anmol Ghadi and subsequently acted in a few landmark films. Of their 6 children only Nasir has followed in his father’s footsteps. 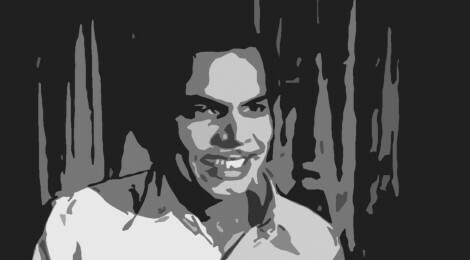 Johnny Walker was the first comedian on whom a song was picturised “arrey na na na tauba tauba” in Aar Paar (1954) when he was paired with his future wife Noorjehan. After this hit song, film makers would insist on a song being picturised on him in most of his movies. Some of these songs have become evergreen hits like in CID – “Aye dil hai mushkil jeena yahan”, Pyaasa – “Sar joh tera chakaraye”, Mr. and Mrs. 55 – “Jaane kahan mera jigar gaya ji”, Naya daur – “Main bambai ka babu” and Door ki Awaaz – “Hum bhi agar bachhe hote. Movies that made him famous were Guru Dutt’s Baazi, Pyaasa, Aar Paar, Mr. & Mrs. 55, Chaudvin ka Chand, Naya Daur; Dev Anand – CID, Taxi Driver, Jaal, Hum Dono, Baat ek Raat ki and Duniya. Johnny Walker also acted with the other great actors of the period including Raj Kapoor – Chori Chori; Dilip Kumar – Madhumati, Devdaas and Gopi; Rajendra Kumar – Mere Mehboob; Rajesh Khanna – Anand as Murarilal, Do Raaste & Dushman; and Ashok Kumar – Bahu Begum. He was so self-assured that in Man Mauji he acted with other noted comedians of his time such as Kishore kumar, Mukri, Om Prakash, Sundar and Mohan Choti. His fame encouraged him to try his hand at being a hero in three films one of which was Choomantar. All three flopped at the box office and he realized that comedy is what he did best. In an industry where there are no permanent friends or enemies, he made lasting friendships with Guru Dutt, Dev Anand, Dilip Kumar, Shammi Kapoor and Gulzar. In Dustedoff, a blogpost that I came across recently, his daughter Tasneem has shared a glimpse into Johnny Walker’s life: “… At home he was a quiet person… He found immense happiness in charity and social work… he led a disciplined life . He was an avid outdoor enthusiast and enjoyed many sports and outdoor activities. Though he is no more, just his name Johnny Walker brings a smile or twinkle in your eyes as a smile is his everlasting gift to the world.” His last film was Chachi 420 with Kamal Haasan where we saw him as an alcoholic make up artiste. Apart from such occasional roles, post-1976 he had bade farewell to acting because he felt, “filmmakers are no longer interested in my kind of clean comedies” and started leading a contented life at home with his children and grandchildren. Rekha Rau grew up in South Bombay, on a staple diet of Hindi films and All India Radio programmes. She later graduated to appreciating plays and Kathak performances at the National Centre for Performing Arts, Mumbai. She has been living in Bangalore for the last 20 years.